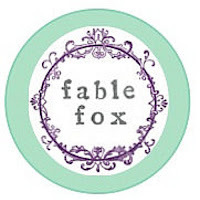 Burning Moon's Inside advice: Fable Fox Review & Giveaway! 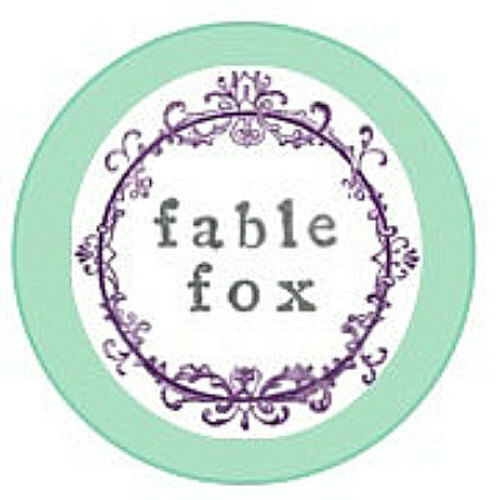 Fable Fox Review & Giveaway! Disney•Pixar's Up is a wonderful animated feature that takes you on an emotional journey and makes you feel connected with the characters during the progression of the story. During this movie Ellie gives Carl a little grape soda bottle pin when she invites him to be part of her explorer club, He wears this throughout the entire film. When their journey wraps up Carl gives Russell the pin as "the highest honor he can bestow" which is a really heart felt moment. If you are a Disney or Pixar collector and like to collect things from the movies this is something you should definitely have in your collection. I recently found a great Etsy shop called Fable Fox that creates high quality replicas of the Ellie badge and they've agreed to let me host a review and giveaway here on my blog. For my review I was sent one of the Ellie badges and I am quite pleased with it. The base is a light weight silver bottle cap which has had a grape soda label placed onto it with a clear plastic seal on top. The bottle cap appears to be brand new and used for the purpose of crafting it does not appear to be used in any form. The bottle cap is punctured through both sides to allow the safety pin through so you can pin it to a purse, lanyard, shirt, etc. The pin is actually quite easy to pin onto different accessories and it looks great I think it fits in nicely with my Disney collectable pins. I like that the badge arrived on a little backing that had the quote from UP along with a bunch of balloons in the background, and it arrived in a little bubble mailer to keep it protected. I've seen several different small shops selling similar badges but just based off color wise this is my personal favorite because the badge is a deep purple like in the movie verses some of the lighter versions other shops sell. Shipping was speedy and communication speeds are great. One lucky winner is going to receive an Ellie badge for their own collection and will also receive one to give to someone else. Giveaway entry question: Please leave me a blog comment letting me know bout a special trip or journey you've been on. You can include just a location or talk about what you did. This movie has always reminded me of my grandma who passed away seven years ago. My grandma and grandpa took us on my trips including Canada and the Black Hills. my husband and I adventured up to the Olympic Peninsula for part of our honeymoon, which turned out a little more of an adventure then we bargained for, but we had a blast and many forever memories to be had! I won a trip to Rio, Brazil for my daughter to represent the entire United States at the final game of the 2014 world cup finals. My friend took my daughter and I to Kauai for a few weeks and it was an amazing trip. We all went to Disney last summer!!!!! I went to Disneyland with my family & it was so fun! My best friend and I took a Christmas cruise to Mexico last year and it was amazing! We surprised my daughter with a trip to Disney world when my husband came back from an 8 month deployment! Our family used to go to Gulf Shores, Alabama every year when our kids were young and those were special trips with lots of quality time together! I went to California with my friends a few years ago, it was amazing, we went to the beach and everything. I have been to Myrtle Beach camping many times with my family. Fun vacations! I have been on many journeys when I was a participant in figure skating competitions. Aspen, Vail, Minneapolis, Chicago, St. Louis, the Broadmoor in Colorado Springs, etc. I went to Morocco at the beginning of this year - seeing the sun set over the Sahara Desert was super memorable. We went to puerto rico last year. Good food, beautiful scenery and friendly (for the most part) people. We try to take a vacation at lest once a year this year we are venturing over to florida for a two week stay..
Pampering Spa Gift Set Giveaway! Geek Nest Giveaway & Review! Coloring Notebook Giveaway & Review! Hair Swirls 1 Giveway & Review! I Sew For Sanity Review & Giveaway! Grim Sweetness Giveaway & Review! Little Black Cat Review & Giveaway! Panda Q Stationery Giveaway & Review! Dream Drop Bath Bombs Giveaway & Review! Carlson Quilt Fabrics Giveaway & Review! March $60+ Nail polish prize pack Giveaway!